The Brendan Behan quotes on this page show some of the wit and humour of one of Dublin's most well-known literary drunks. 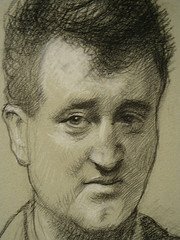 Brendan Behan was born in Dublin on 9 February 1923. He grew up speaking English but became fluent in Gaelic in prison. 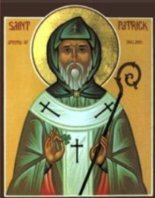 His father, painter by trade, was also an Irish republican. The Behan household was as a result steeped in Irish history, literature and song. As a member of Fianna Éireann, the youth wing of the Irish Republican army, Behan was arrested at the age of 16 in Liverpool, about to take part in a bombing campaign. He spent two years in a youth prison or borstal in England, using the time to deepen his education. In 1942, having returned to Dublin, Behan shot at a detective during an IRA parade for which we was sentenced to 14 years in Dublin's Mountjoy jail. Again he broadened his education, becoming a fluent Irish speaker. While in jail, Behan also had his experience of Borstal life published in a literary magazine, The Bell. "Other people have a nationality. The Irish and the Jews have a psychosis"
Behan was freed under an amnesty after 4 years and developed a reputation in Dublin literary circles for his wild and often drunken behavior. He wrote poetry in Gaelic and in 1954 his play The Quare Fella was performed and well received. Full of humour, it is also a strong statement against capital punishment. 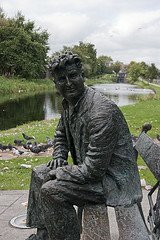 It helped establish Behan's reputation as a playwright but he received as much attention for his drunken and often outrageous behaviour. Behan also wrote a play in Gaelic An Giall (1958) which was translated to English as The Hostage for which he enjoyed success in Dublin and New York. His book The Borstal Boy appeared in the same year. The next few years were marked by ill-health as alcoholism took its toll. He died in 1964 and his funeral was one of the biggest Dublin had seen. By the time of his death, he had moved away from many of the republican views he held as a youth. His fame in Ireland remain. Enjoy the humour of the Brendan Behan quotes below. I only take drink on two occasions - when I'm thirsty and when I'm not.